Fettucine Florentine is perfect for a quick and easy meal! March 26th is 'National Spinach Day'! 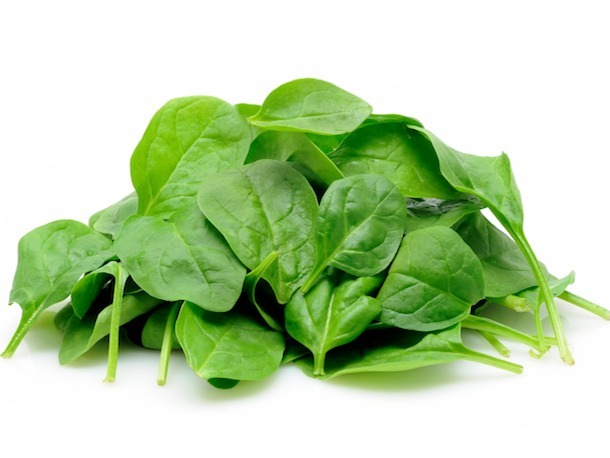 'National Spinach Day' was created to celebrate the healthy and nutritious leafy vegetable, spinach! How does spinach benefit your health? Spinach is considered an extremely healthy vegetable! Spinach nutrition has powerful anti-inflammatory and antioxidant abilities, has a very low amount of calories, and is one of the most nutrient-dense foods. In addition to supplying plenty of antioxidants, spinach is considered a good source of vitamins A, C, E and K, thiamin, vitamin B6, folate, calcium, iron, magnesium, phosphorus, potassium, copper, zinc, and selenium. Spinach contains special protective carotenoid compounds that have been linked with decreasing the risk of many diseases, including cancer, heart disease, diabetes, neurodegenerative diseases, and obesity. Spinach also supplies flavonoids, which are a type of powerful antioxidant that protect against disease by fighting free radical damage within the body. These protective compounds make spinach one of the best anti-aging foods there is. Spinach is able to slow down cancerous cell formation because it defends against DNA damage and limits oxidative stress through the presence of antioxidants. Spinach’s carotenoids protect cells from mutations which can ultimately lead to cancerous tumor growth. Spinach is also a good source of dietary fiber. Fiber is needed to maintain digestive health because it helps with regular bowel movements, carries waste and toxins out of the body, prevents constipation or diarrhea, and can detoxify the digestive tract. The fiber found in spinach also works to reduce high cholesterol levels and slows down the absorption of glucose into the blood stream. How can you celebrate 'National Spinach Day'? Try out a tasty spinach recipe, like MWLC's Shrimp and Spinach with Caramelized Onion. If you have a garden, make a plan to plant some spinach this Spring! What better way to celebrate 'National Spinach Day' than with this tasty spinach recipe? 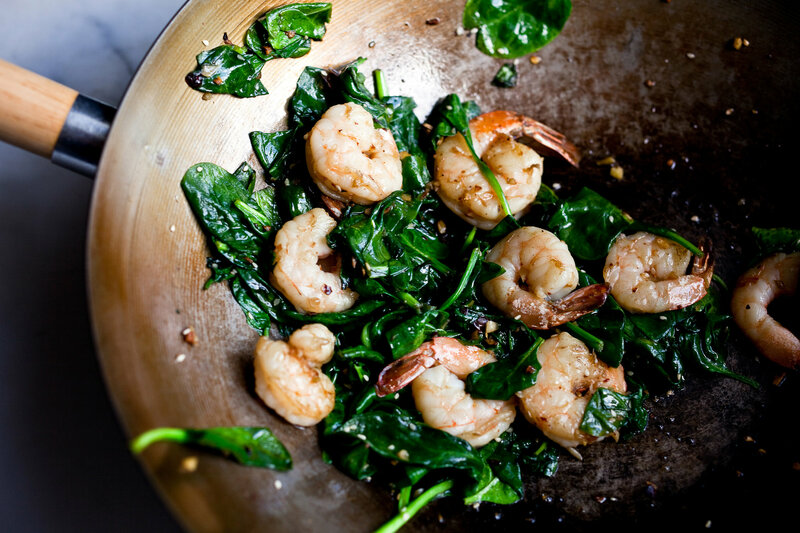 Try MWLC's easy 🍤 Shrimp and Spinach with Caramelized Onion recipe for dinner tonight! Evenly spray a large skillet with unflavored cooking spray over medium-high heat and cook onions, stirring occasionally for 2 minutes or until tender. Remove onions and set aside. Spray unflavored cooking spray in same skillet over medium-high heat and cook spinach, stirring occasionally until spinach is wilted. Remove spinach and keep warm. Spray skillet again with unflavored cooking spray and cook shrimp, garlic and crushed red pepper flakes, stirring until shrimp turns pink. Stir in lemon juice, lemon peel and onions. To serve, spoon over spinach and garnish with bread crumbs. Toasted fresh bread crumbs: Coarsely chop sliced bread. Toast in toaster oven or bake at 350° for 10 minutes.